There are essentially two culprits who conspire to generate fungal growth (e.g. 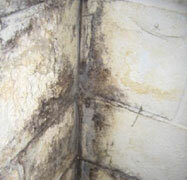 black mould) in homes. These are poor ventilation and moisture. These two villains are responsible for multiple crimes against property but the good news is that they can be contained! Firstly we need to understand why this is happening and ideally treat the cause as well as the symptoms. 1. 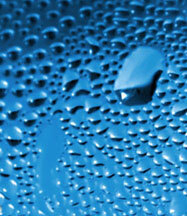 Condensation � 9 out of 10 cases! 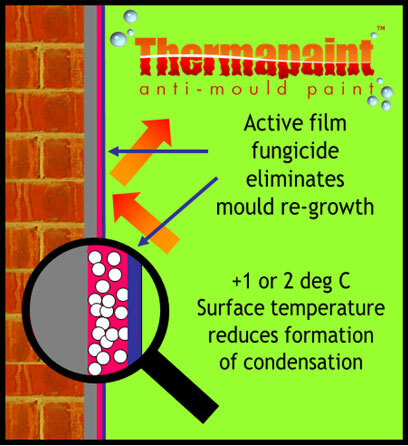 If you have black spot mould, chances are condensation is the problem, so before embarking on expensive building works rule this out first. With the increasing emphasis on saving energy, not to mention the rising cost of heating, we are all encouraged to stop warmth escaping from our homes in a variety of ways. 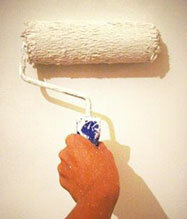 Often this means closing windows, sealing up draughty doors and even covering up brick vents. Consequently we are increasingly living in almost hermetically sealed homes which do not breathe. Combine this with water evaporating from cooking, drying clothes in front of radiators, steam from showers etc. and airborne moisture is trapped in the house and condenses on cold surfaces such as windows and cold walls, where it causes paint to blister and wall paper to lift, giving a home to black spot mould. Nothing to do with the Seventies sitcom! No this is where your home draws water up from the ground like a sponge. 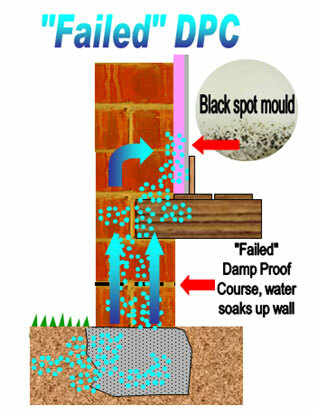 Usually caused by failure of the damp proof course, this provides a ready source of moisture for black spot mould to take hold. a) Tackle the cause: engage one of our Kingfisher Approved DPC Contractors to carry out remedial chemical injection of a new DPC. Please ring 01229 869 100 for details. 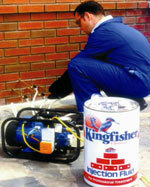 b) Temporary: Kill the black mould with Kingfisher Mould Cure. 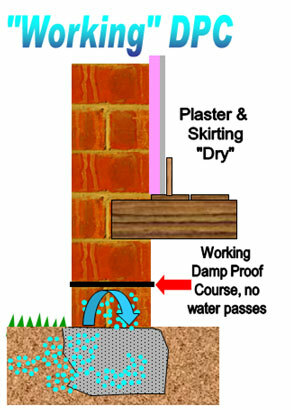 d) If applying to bare masonry, you must apply Kingfisher Anti-Sulphate Solution to first neutralise ground water salt contamination which will otherwise push off the membrane. a) Leaky gutters, or leaky gutter downpipes which constantly feed water onto one part of your wall until the masonry loses its natural water resistance because it never gets to dry out. b)Failed Pointing. 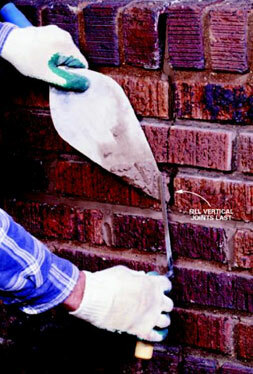 The masonry between your bricks/stone or Pointing is vulnerable over time to weathering and the freeze/thaw cycle. Ultimately cracks open up which allow rainwater to seep through. c) Porous brick or stone. Sometimes elderly bricks and soft stonework can reach saturation after years of weathering. This allows water to leach through into the house. 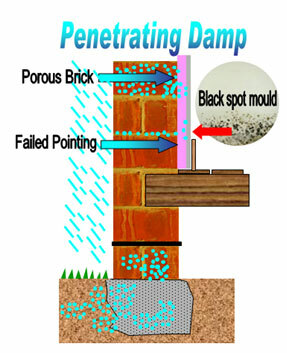 a) Tackle cause: stop the moisture coming through the wall by repairing the pointing using Kingfisher Pointing Solution in your cement mix and then treating the external wall (including the repaired pointing) with Kingfisher Extreme Climate or Superseal. 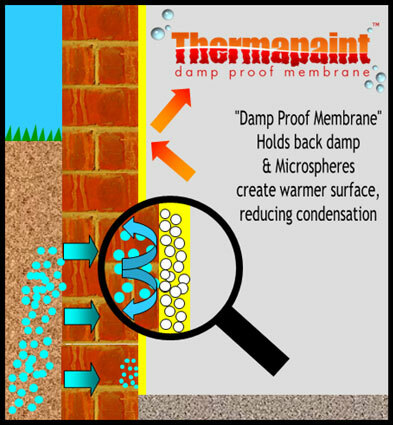 These products form an invisible shield, forcing water to bead up and run off the wall rather than being absorbed. 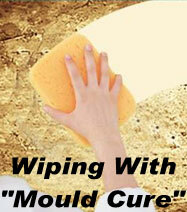 b) Tackle symptoms: kill the black mould with Kingfisher Mould Cure.